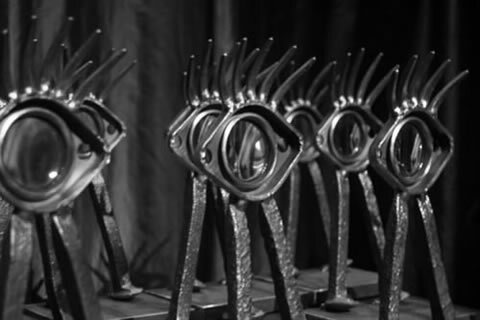 The 2011 Cinema Eye Honors will feature a new award for Outstanding Achievement in Nonfiction Short Filmmaking. Five nominees, selected from 11 finalists, will be named on November 4, 2010 at the Cinema Eye Nominations Announcement at Sheffield Doc/Fest in the United Kingdom along with feature film nominees in 11 categories. Finalists for the Short Filmmaking award were determined in voting by top short film/documentary programmers from international film festivals. This year’s nominations committees are chaired by Hot Docs Film Festival Director of Programming Sean Farnel. Committee members included Hussain Currimbhoy (Sheffield Doc/Fest), Ben Fowlie (Camden International Film Festival), Ted Mott (Full Frame), Veton Nurkollari (DokuFest Kosovo), Sky Sitney (Silverdocs) and Kim Yutani (Sundance Film Festival). A jury will watch all 11 films and select five nominees and a winner, which will be announced at the 4th Annual Cinema Eye Honors in January 2010 in New York City.